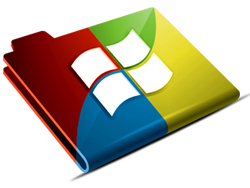 Windows Data Retrieval Software is easy to use application for recovering missing deleted files and folders from crashed hard disk drive supporting FAT and NTFS file system. The file retrieval utility rescue data from corrupted partition table, boot sector files with support to Laptop and Desktop system. The easy to use computer data recovery software is safe easy and non-destructive utility to undelete missing files and folders in all partition volume data loss. Utility features attractive graphical user interface supported operating software easily to revive deleted files and folders. The Software is capable to recover corrupted, formatted partitions data loss for Windows VISTA, XP, ME, NT, 2003, 2000 & Windows 98 Operating system. Recovers data lost due to any logical partitions error in Windows drives. Retrieves data from bad sector infected storage media (hard disk). Support FAT and NTFS file system. Recovers files and folders deleted using (Shift+Delete) keys or empted recycle bin. Fully support large size hard disk drive. Recovers files on ATA / SATA / SCSI disk drives.